Do you have a blog that’s powered by WordPress? If so, you probably know that WordPress is the most powerful and most customizable blogging platform there is. By selecting a quality theme and customizing it to your liking you can give your blog its own distinctive look and feel – in other words, give it its own personality. The thing is, to really customize all the various aspects of your blog’s theme you’ll need to make changes to its style.css file. 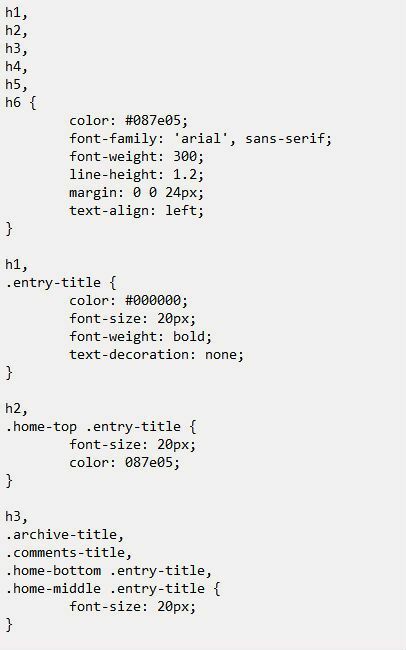 In a nutshell, the style.css file contains the Cascading Style Sheet (aka CSS) code that controls virtually every aspect of how your blog will look and respond to visitors when they arrive at one of the pages on your blog. Well, truth be told, it isn’t quite as complicated as it appears at first glance. You could easily study and learn the ins-and-outs of CSS coding and use that knowledge to customize your blog’s look and feel to you heart’s content. If you decide to go that route be prepared for it to take some time. After all, there is indeed a learning curve with learning how CSS works and how the style.css file integrates with rest of your blog’s components. But what if I told you there’s a simple way to modify your blog’s style.css file to make the changes you want to make without having to actually do any coding whatsoever? Well, you can do just with the help of a fantastic tool called CSS Hero! CSS Hero is a powerful WordPress plugin that will let you make important changes to your blog’s look and feel without having to manually edit a single line of CSS code. Simply install the plugin and activate it, then click on the elements of your blog that you want to change. For example, if you wanted to change the font size or color of your post titles all you’d have to do is click on one of your post titles. After you click on it you would immediately see a bunch of settings over in the left-hand column that will change virtually every visual aspect of your post titles. Want to make changes to your blog’s header? Just click on whatever element in the header you want to change and the applicable settings will pop up over at the left! And it’s the same with your blog’s sidebar widgets, the footer area and so forth. I had never heard of CSS hero until I happened to stumble across it the other day while searching for another WordPress tool. To be honest, at first I had serious doubts that a plugin could actually do what CSS Hero claimed to be able to do, and do it as easily as they promised it would. After all, I’ve been customizing CSS files by hand for years, and it certainly isn’t a simple process. But after installing CSS Hero and giving it a try I can tell you that it really does live up to the hype! The point and click interface and simple layout of the settings pane make changing most any aspect of your blog fast and easy. And the best part is you do not have to learn a single thing about CSS! CSS Hero makes all the changes for you based upon the choices you make in the settings pane. If you make a change that you don’t like, you can easily reverse it and start over. Or you can simply keep tweaking a setting until you find the perfect font size, color or other attribute that you’re looking for. I could spend all day explaining how awesome CSS Hero is, but this short video can get that point across a lot faster by showing you exactly how powerful and easy to use it is right on your computer screen. Note: You might want to view this video at full screen. Simply click the “square” icon in the lower right-hand corner of the video. At this point I really need to tell you that CSS Hero is a premium plugin, which means of course that it isn’t free. But this happens to be one of those rare premium plugins that is actually worth the very modest cost of $19 per year (and a lot more, in my humble opinion). Click here to read more about CSS Hero over at their website.